This level has medium difficulty. 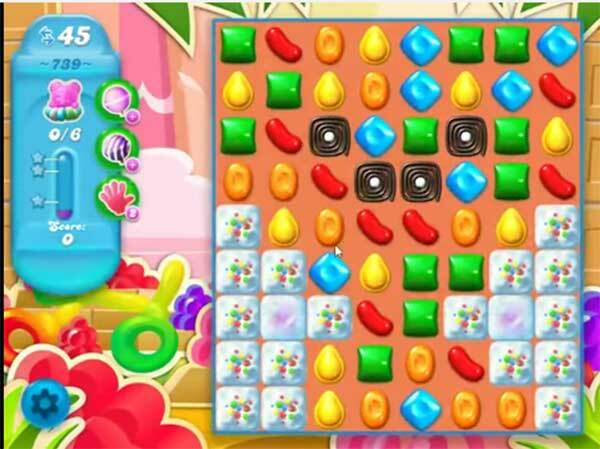 For this level try to play more from the top to shuffle the candies as it will help to shuffle the candies and will give chance to make special candy. Or play near to blockers to break them. After play above or near the bear to move them and take them out from the table. Why doesn’t the screen advance when all bears are at the top? All moves are wasted on “stuck” bears! Becky’s question is my question also. Why won’t the screen advance when you’ve clearly freed the bears. You waste a lot of moves on when that happens!